Nosihe Zulu brings Eshowe authentic, raw music with a jazzy pop flavour. 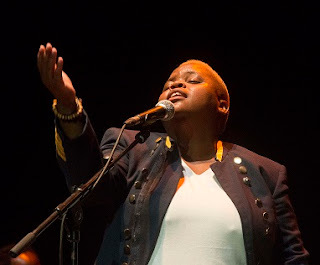 In association with Concerts SA, iSupport Music Business presents a performance by vocalist and composer Nosihe Zulu who will be appearing on May 1, 2019, at Cubanitas in Eshowe. Zulu is an eclectic and engaging singer, based in Durban and is a student at the University of KwaZulu-Natal, pursuing a degree in Jazz and Popular Music. As she completes her degree, she spends her time touring with her band and performing in and around South Africa. “People can expect an afternoon of authentic raw music with a jazzy pop flavour,” says Zulu. Apart from growing up in a musical home, her interest in singing began in her formative years, when she excelled in singing in school choirs. Once selected to join the Pietermaritzburg Children’s Choir in her primary school years, her musical aspirations continued to grow throughout her high school years. She won numerous singing competitions and toured throughout KZN. Zulu’s diversity gave her the opportunity to share the stage with many artists such as Arthur Mofokate, Emtee, Fifi Cooper, Sjava, Bucie, AKA, Unathi. As a regular on the South African festival circuit, she has performed at major events, such as White Mountain Festival and Music in the Hills. The highlight of her career thus far was her participation in Season 12 of the international singing competition Idols, South Africa in 2016. Zulu is passionate about making a mark and sharing her love for music and is by no means slowing down the momentum gained over the last few years. She has also launched an exciting new venture called #uncutexclusive, through this platform she will be sharing her unreleased music and intimate concerts and sharing her life and experience with her followers. Joining Zulu on stage at Cubanitas are Obakeng Thamage on keys, Freeman Gumede on bass guitar and Lesedi Tlholoe on drums. On Thursday May 2, Nosihe Zulu will perform for various primary and high schools in the area. These concerts are part of the Concerts SA Venue Circuit which aims to foster a love and support for live music in our communities, as well as anchor small and medium sized venues in urban and rural Gauteng, KwaZulu-Natal, and the Western Cape. The concert takes place at 14h00 on May 1 at Cubanitas, 60 Osborn Road, Eshowe. Tickets R20 available at the door. In association with Concerts SA, iSupport Music Business presents three performances of powerful vocalist Asanda Mqiki who will be appearing on April 26 at The Chairman in Durban, on April 27 at Seaman’s Corner in Hammarsdale and on April 28 at Artizen Lounge in KwaMashu. 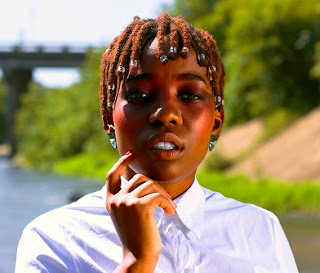 Port Elizabeth based Asanda Mqiki is a “true Afro-Soul revelation with an impressive amount of control over her notes”. Her music vibrates with visceral emotion, bringing together a range of influences from funk, jazz, soul & traditional genres such as mbaqanga to create a signature sound that is topped only by her phenomenally powerful vocals. Now signed to Arte Viva Management, Asanda Mqiki released her first solo album, Nobakithi, in 2018 and it has been lauded by jazz pundits such as Brenda Sisane and Africa Melane, the latter calling it a “beautiful, beautiful piece of music”. “I am so looking forward to being back in eThekwini, I’ve always been received well here and I’m looking forward to sharing my music with old and new fans.” Says Mqiki. Joining Mqiki on stage are an all-local line-up including Sibusiso “Mash” Mashiloane on keys, Nthuthuko Hlongwa on bass guitar and Boyi Kabelo Mokhatla on drums. At Artizen Lounge, Deep Breath will also be performing. Deep Breath fuses elements of jazz, kwaito, soul and dance music. The creative mind behind the musical concept is Thato Motsepe who, since 2015, has worked with some of Durban’s most talented musicians and vocalists on the Deep Breath project. Motsepe is a graduate in jazz studies from University of KwaZulu-Natal and a prolific drummers and studio producer with a colourful canvas of musical influences. The Deep Breath debut EP, titled Trinity, was launched in 2018. More recently the project released their singled Through the Fire featuring Lihle Ngongoma, who will also feature in their performance at Artizen Lounge. Seb Goldswain launches The Road Ahead at Centre for Jazz and Popular Music on April 24 2019. The Road Ahead is the second album from South African guitar-virtuoso and composer Seb Goldswain. Following the positive critical response from the acoustic songs on debut album Pictures of a Thousand Words, various high-profile solo acoustic performances (including opening for George Ezra and various high-profile South African artists), growing a fan-base across South Africa, and developing a high-energy solo live show more akin to a full band rather than a lone acoustic guitar, Goldswain has grown to fully embrace the art of acoustic storytelling with The Road Ahead. The core concept of The Road Ahead is that of the primacy of storytelling in songwriting. All the songs are personal in nature that relate to experiences and attempt greatly to veer away from titles like “guitar music”, and towards a positive listening experience that the listener can relate to personally. From A Mother’s Prayer (written for a four year-old boy who struggled with, and eventually beat, leukaemia) to The Big Da” (written for a friend’s wedding) to You’re Not Alone (written in light of the difficult topic of depression). 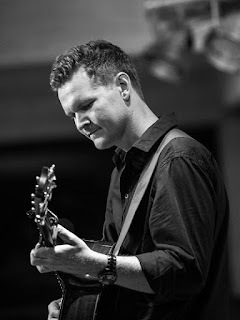 Goldswain is not afraid to wear his influences proudly, and such can be heard on the Django Reinhardt-influenced Grim FanDjango, the undeniably Jackson-5-like Motown, an original arrangement of Finnish composer Jean Sibelius’s Finlandia, as well as an Andalusian take on the fingerstyle standard “Avalon”. Unable to maintain the discipline needed to keep the album a purely solo-acoustic offering, the tracklist also features full band arrangements (including Jacob-Collier-style vocal arrangements) on two songs. Namely, the traditional Sotho song Morokeni and the American western traditional song Wayfaring Stranger which also features Goldswain’s more familiar electric guitar playing as well as the excellent vocal talents of Gary Nixon. Join Seb Goldswain, launching The Road Ahead at The Centre for Jazz and Popular Music (CJPM), Level 2, Shepstone Building at UKZN Howard College Campus on Wednesday April 24 2019 at 18h00. Doors open at 17h30. General admission R80 (R50 pensioners, R25 students.) Contact Thuli on 031 260 3385 or email Zamat1@ukzn.ac.za for more details. The Centre for Jazz and Popular Music welcomes back the Kholwa Brothers on April 23, 2019. Kholwa Brothers are an exciting, highly skilled and seasoned isicathamiya group which was formed in 1990 by Derrick Mlambo who relocated from Sinathing, Pietermaritzburg to Inanda, Durban. This move was due to the political violence that had erupted in almost all areas of Pietermaritzburg. The word "Kholwa” is a Zulu word meaning “a believer”. This multi award-winning Kholwa Brothers have attained the best South African vocal group status through developing their routine from local and international shows, social and official functions to reach sublime standard of performance. This traditional/cultural music group is a force to be reckoned with. 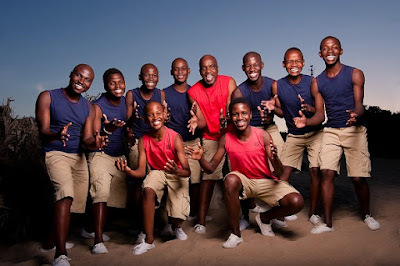 The 11 member, youthful, all-male vocal group offers world class performances which cater for all age groups and events. The Kholwa Brothers comprise teenage boys whose ages range between 18 and 26. These young people joined the group in 2010 and they have been rocking stages since then. The group comprises the leader Derrick Mlambo, Mlungisi Sishi, Dumisani Sibiya, Lindinkosi Xulu, Ntandoyenkosi Xulu, Ngcebo Gumede, Simphiwe Ngcobo, Mthobisi Ndwandwe, Nhlakanipho Nzimande, Philani Ngcobo, and Hopewell Ngcobo. The Kholwa Brothers have sung in almost all the provinces, in South Africa. In 1991, they sang at the Sonke Music Festival where the late Dr Nelson Mandela addressed the people of KwaZulu-Natal for the very first time after his release from prison. Some of Kholwa Brothers’ achievements include winning "MTN National Isicathamiya Competition" and being involved in a three month residency in Br called "Millagrimus". They have shared a stage with Vusi Mahlasela, Mbongeni Ngema, Joe Mafela and Ladysmith Black Mambazo and have collaborated with Mandoza, Sbongile Mngoma, Gcina Mhlophe, HHP, Jabu Khanyile, Mara Louw, and Mthunzi Namba (Joyous Celebration). Last Sunday, April 14, 2019, lovers of opera and jazz music were treated to an excellent concert which was greeted with delight from a highly enthusiastic audience. Taking place at the Durban Jewish Centre, Durban Opera Potpourri was born of a project initiated by Friends of Music and iGrandi Tenori, a fast-growing group of tenors headed by Kwazi Mhlongo. “South Africans have invaded the classical music sphere beyond imagination with apparent international achievement. However, we are still faced with the realism of fund-less craft. Our universities are flooding with aspiring young practitioners who upon graduating enter a non-existing industry. Due to the tremendous deterioration of reserves that help sustain this area of interest, artists are seeking sustainability in European countries,” says Kwazi Mhlongo, director of iGrandi Tenori. Several opera companies in South Africa have had to close down due to financial hindrances and others are facing an uncertain future. “It is through initiatives like Durban Opera Potpourri that we seek to create a market for all professionals in the field of classical music, within the parameters of eThekwini and beyond. Our towering wish is for opera artists and graduates to be created a market where they can operate and contribute to the economy of the country without having to cross borders. We also wish to expand the financial support base for opera artists who continue to raise the South African flag to even greater heights in international singing competitions,” adds Mhlongo. The impressive line-up featured Luthando Qave (baritone); Reuben Mbonambi (bass); Sibabalwe Yoko (tenor); Khayakazi Madlala (soprano); Phindile Cele (mezzo-soprano); Owen Metsileng (tenor); Sbani Mwelase (baritone); Kananelo Sehau (tenor); Mlindi Pato (tenor); Sibongile Mthiyane (mezzo-soprano); Dorh Mfayela (soprano), and S'bongile Mntambo (soprano). There were three parts to the programme – the first and third devoted to opera and the second section featured the inimitable Melvin Peters and his quartet. Included in the pieces they played was a work written by Peters himself and, in keeping with the opera focus of the concert, a re-made version of Bach’s Air on a G String. Highlights for me were Luthando Qave’s powerful Prologue from Pagliacci; Kananelo Sehau’s dramatic Forse la soglia from Un ballo in maschera; Sbani Mwelase’s emotional Or dove fuggo lo mai from I Puritani; and Deserto sulla terra from Il Trovatore by Phindile Cele, Luthando Qave and Kananelo Sehau. Professor David Smith provided his usual excellent and sympathetic piano accompaniment to the opera sections. The production director was Sanele Mkhize. Congratulations on an excellent concert to all stakeholders; Ikusasa LeAfrika Foundation, Friends of Music, Jazz Xpression, CingPro, the KZN Department of Arts & Culture, Diemersfontein, and the eThekwini Municipality.